Choosing the most suitable temporary walling. Do's & don'ts. Home / blog, Uncategorized / How to choose the most suitable temporary walling for your business. Do’s and don’ts. How to choose the most suitable temporary walling for your business. Do’s and don’ts. When it comes to putting on an exhibition it is important to plan it properly. When an exhibition is well-planned, it is undoubtedly clear to the visitors of an exhibition and makes a business appear more reputable. It is essential to ensure your exhibition is engaging, inviting and professional. Temporary walls from Conex can help. Here are a few steps to make sure you opt for the best possible temporary walling. Think about how long you require your exhibition to be displayed. The length of time your exhibition is running will alter the type of walling you choose. We have various types of exhibition walling available, if you are having a longer exhibition, you can opt for a more fixed temporary walling system, such as our art gallery display walling and low walling. Consider the purpose of your temporary walling. What your temporary walling is displaying most definitely affects the type of exhibition walling you choose. While our huge array of exhibition walling means that there is a temporary wall for various types of exhibition, this can make it more difficult when deciding upon the best walling for your business. For example, if you need you exhibition stand to make a bold statement in an exhibition, then you’d probably be best to opt for higher exhibition walls. First and foremost, think about the purpose of your exhibition before making any decision on the exhibition walling you’re investing in. Opt for a temporary walling system that works within the budget of your business, and is still able to show it off at its best. Think about the time it takes to construct. We have a choice of pop-up exhibition stands that can be put up if you have a quick turnaround time for constructing your exhibition stand, perhaps you’re participating in a touring exhibition or the venue is strict on its closing up time. 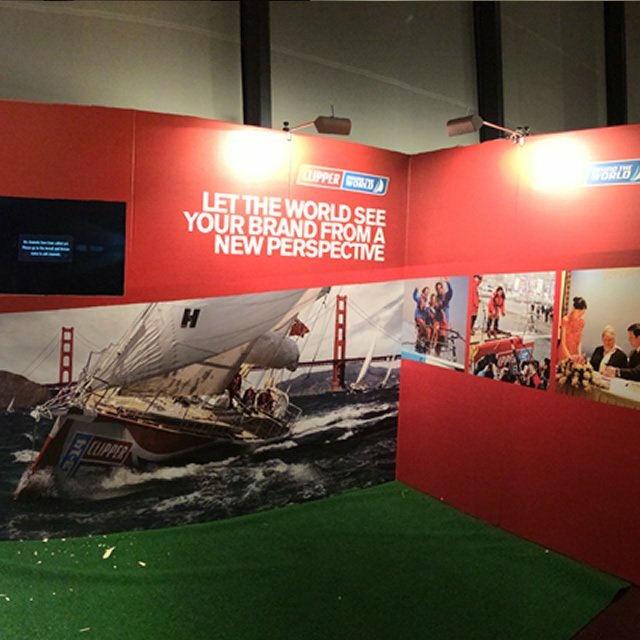 There should be a clear message given from your exhibition about you or your brand. If there is too much going on, too many colours, messages, images, objects, your exhibition stand visitors won’t have a clear journey for their eye. Neither will you deliver a clear brand message. Opt for a well-laid out stand that takes the visitor on a visual, yet simple, journey. While it can be fun to make your own exhibition walling and these handmade walls can work well in artistic exhibitions, corporate exhibitions ideally require professional walling. A DIY temporary wall would look out of place at a corporate exhibition. Invest in temporary walling systems from Conex. We can even construct them for your business. *0845 50 55 300 is a business rate number charged at 3p - 18p per min' from landlines and 6p - 51p per min' from mobiles.